Kelly Phillips has been out and proud since he was a young teenager, and thanks to the gay youth group he frequents, he's never been short on friends or lovers. But when you have almost everything, it's hard not to focus on what's just out of reach: a best friend who would be Mr. Right if he wasn't already Mr. Straight. Or that handsome athlete at school who would be easier to wrangle if not for his angel wings. And then there's the guy who might be a perfect fit, maybe even a soul mate...if only he wasn't convinced he didn't need anyone. 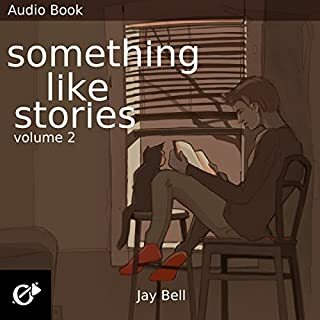 Benjamin Bentley and many other beloved characters from the Something Like...series make their triumphant return in this collection of short stories and bonus material. 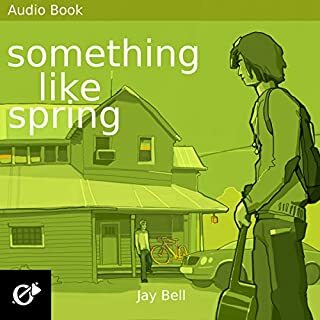 "Something Like Yesterday" travels to the past where Eric Conroy attempts to find love against a backdrop of intolerance and political upheaval. 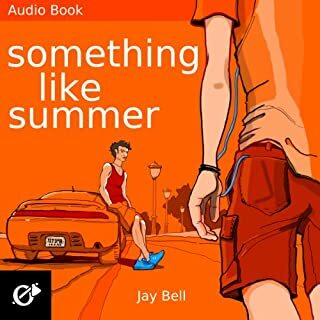 In "Something Like Fall", Ben meets Jace's family and tries to cope with many changes in the years that follow. The hot Texas nights were lonely for Ben before he met Tim Wyman, the man he would one day marry. Now, 20 years later, everything is perfect. Isn't it? As Ben struggles with guiding his adopted son toward happiness, he begins to question his own path in life. Tim is little help, pulled away by artistic success and faced with temptation, but true love should be able to overcome such obstacles...if only their struggles ended there. Nice guys finish last, but that doesn't mean they give up the fight. Sometimes it's necessary to keep trudging through the rain in the hopes of finding a break in the clouds. William Townson is a good person. He's kind, considerate, and the last thing he ever wanted was to hurt anyone. Accidents happen though, and when they do, all that can be done is to pick up the pieces. 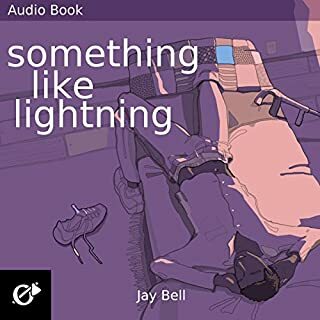 The Something Like series is drawing to a close! Before it ends, reunite with favorite characters and meet others for the first time in this special collection of fourteen stories. Highlights include Something Like Champagne, in which Marcello searches for the truth behind a drunken vision. In Something Like Bunnies, a young Jace Holden struggles with his first crush. 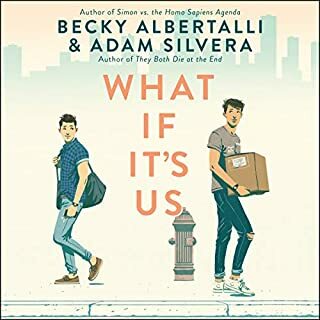 Ben and Tim return in Something Like Memories as they debate when exactly they should celebrate their anniversary. This isn't a coming out story. Nor is it the tale of a lonely heart-seeking companionship. This is about how I learned to fight. My name is Nathaniel Courtney, and I m a survivor. I didn't let the cruelty of others wear me down, and I've weathered the more subtle hardships of the heart. Love is a Trojan horse, slipping past your guard and leaving you ransacked and vulnerable. I emerged from that war not unscathed but as a new man. The only mistake I ever made was letting the right guy get away. Now I've got one more chance. This is the final battle, because if I fail now...I won't. You'll see. Just listen to my story, Kelly Phillips, and when I'm done, please don t walk away. Take this weary soldier into your arms so we can find peace together. 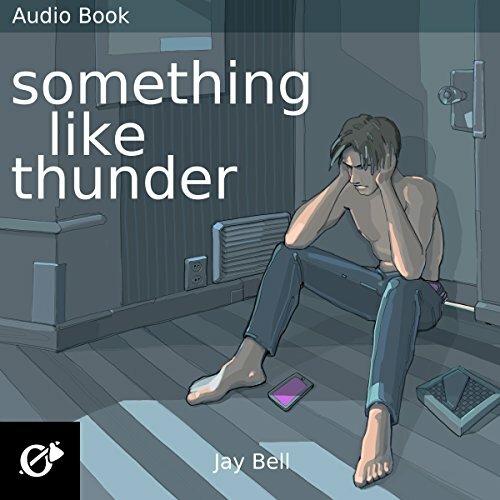 Something Like Thunder is the sixth book in the ongoing Something Like... series, shedding light on past events while leading the listener toward an exciting new future. 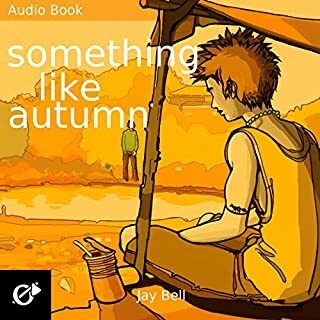 I started reading Jaybell about three or four years ago and since then I have read everything that he has now said to say there's nothing more to pick from. 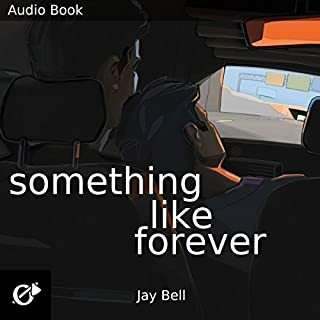 I have truly enjoyed the series and look forward to anything new that may be added under Jay's name I also. I also hope that the rumors that I have heard about a film being made out of one of the original books is true. I am keeping my eyes open for that. This is the 6th of this series that I finished and as always, it is awesome. 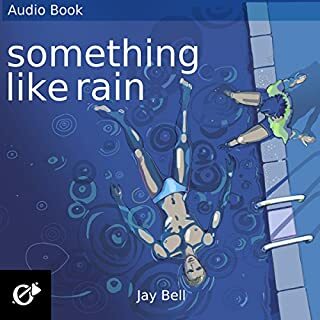 Thanks, Jay Bell who creates this amazing books and Kevin R. Free who make the story more lively. Don’t miss it!! loved it. cannot believe it ended on such a high note. I thought it would end in a disaster. I adore this series. This one was one of my favorites. SO SATISFYING! What a wonderful author and what a mind he has. After 6 books, I have ridden a wave of all emotions imaginable. As I'm writing this, I still have watery eyes. 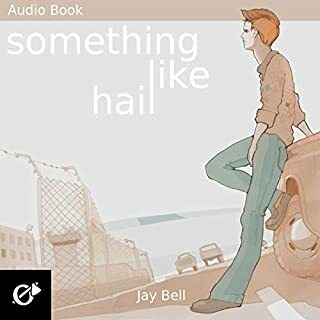 Jay bell does an amazing job of making you fall in love with his characters, even if your first impression of them was hate. A longing of what most of these characters have, love, is what rebounds in your heart as you listen to his stories. When I first met Kelly, back in book 4, I couldn't stand him, thinking he was a queeny snob, the type of gay man I can't stand. Then I heard his story...and I fell in love. Same can be said for Nathaniel. At first he was a cold hearted man who seemed distant, but eventually thawed when the one thing he wanted was right in front of him. Both characters made you hate them, love them, get irritated with them, be sad for them then eventually fall in love with them and what they have...each other. I only hope that Mr. Bell continues their story, and others in the series, so we can continue our roller coaster of emotions until it ends (hopefully never) with a high and fulfilling note. Mr. Bell has skyrocketed to the top of my favorites list with his writing style and his books. Now....to continue the adventure with the next book. Won't you join me? This whole series never disappoints. 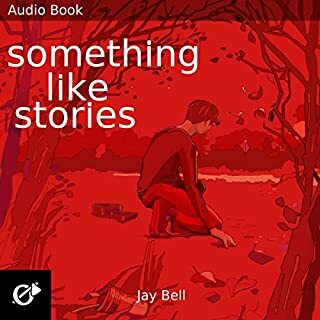 I thoroughly love this while series and Jay Bell’s wonderful storytelling. Kevin R Free brings the writing to life in a very satisfying way for me. I can’t stop listening! Five books to go!! So, admittedly, this was not my favorite in the series, but I still loved every minute. Happy endings happy endings happy endings. They bring me to silly tears. I have to credit the author for cleverly bringing back characters and even recycling scenes from previous books in the series but from a different character's point of view. He also artfully takes a villain or unsavory character from a previous book and makes you care about them. These are just really good romantic fun in between a lot of the serious reading and listening I get to do for my job. 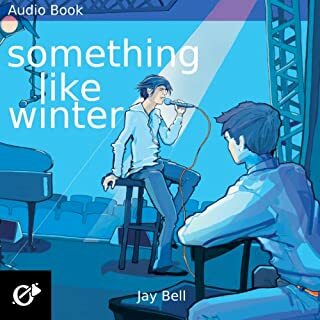 I am just in love with all of the SOMETHING Like Series. A must read them all. 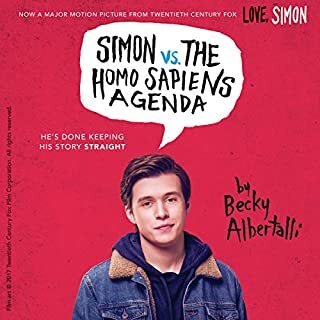 Ok....first off... in the past 5 books Marcelo has by far become my favorite charcter and I have to say hearing his character in Kevin R. Free's makes him that much better!! By far one of the most entertaining charcters....any chance of him getting his own spin off book of how he came to be? But back to Nathaniel....I love his story and him with Kelly. I like that this story took a darker turn then previous books with taking on abuse. None the less, as always...I love this series.